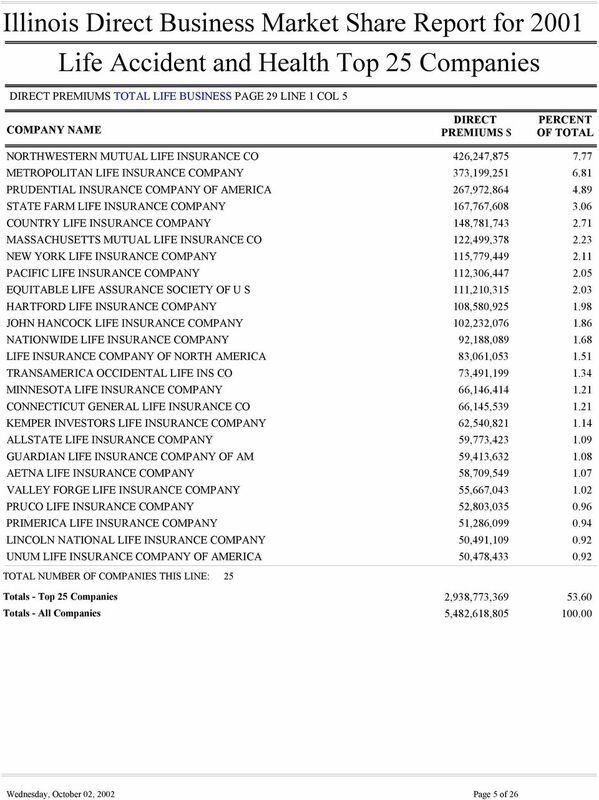 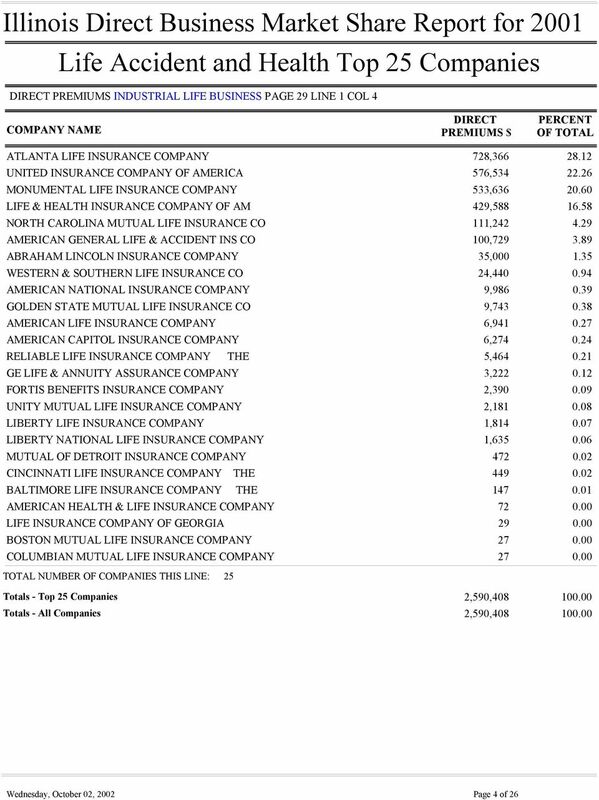 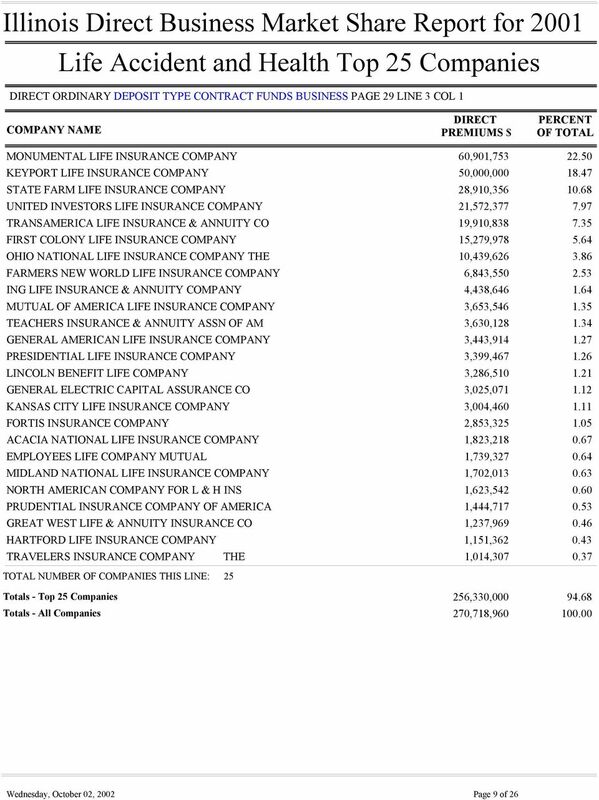 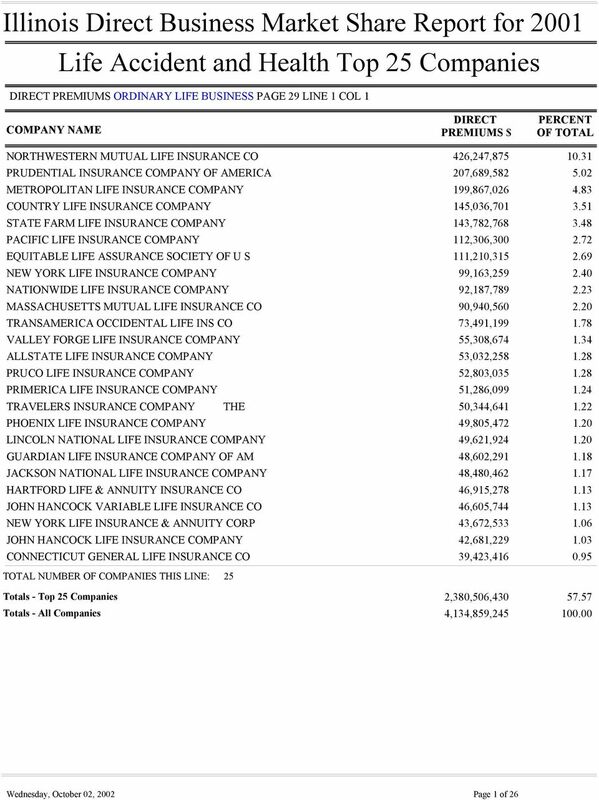 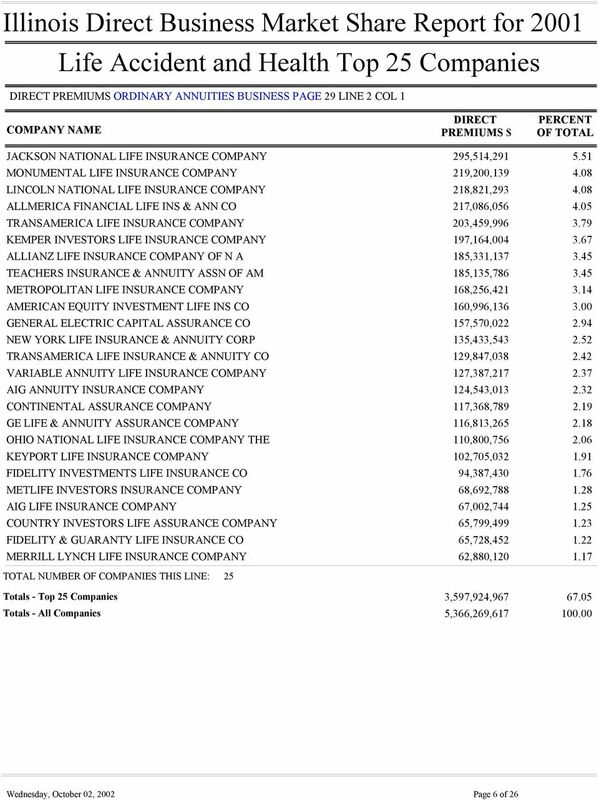 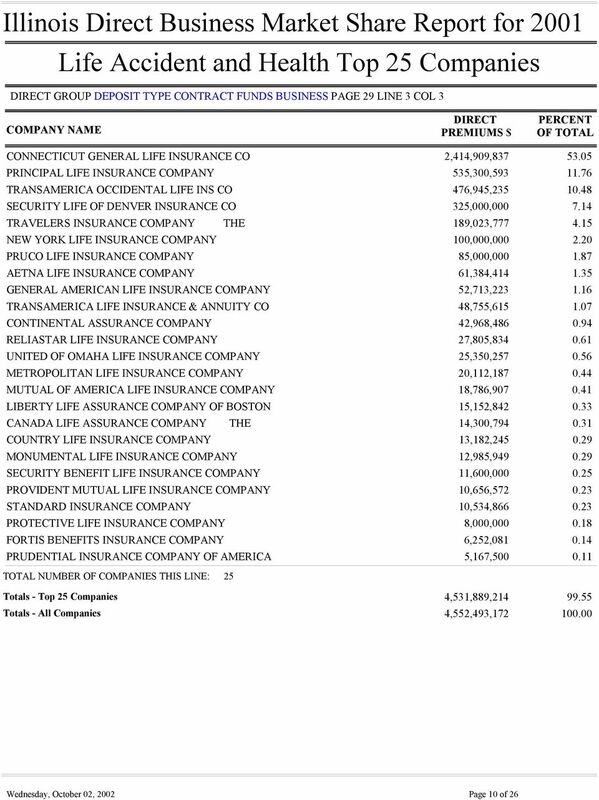 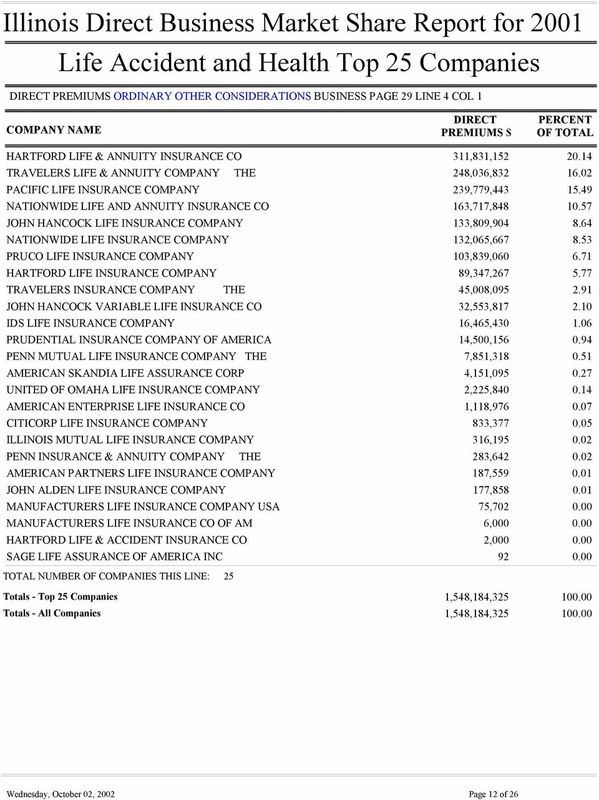 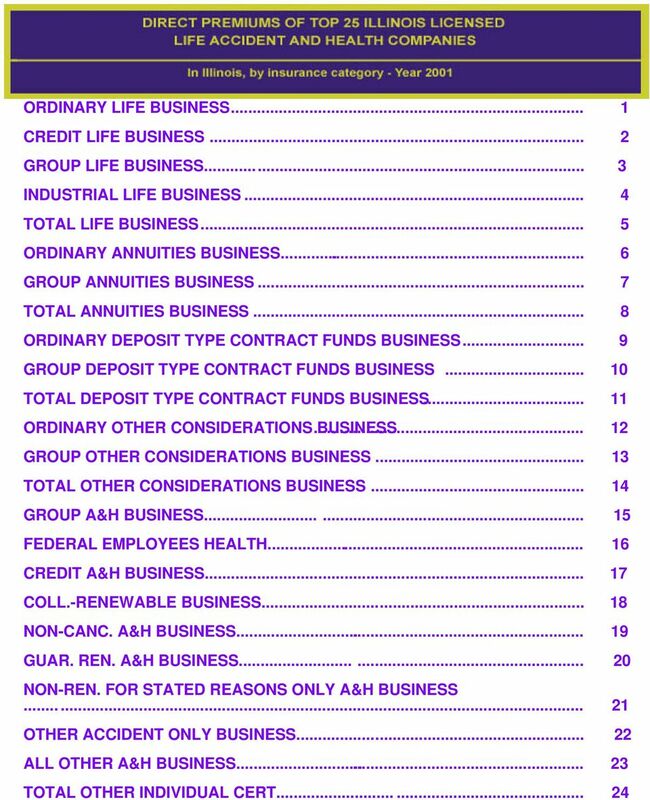 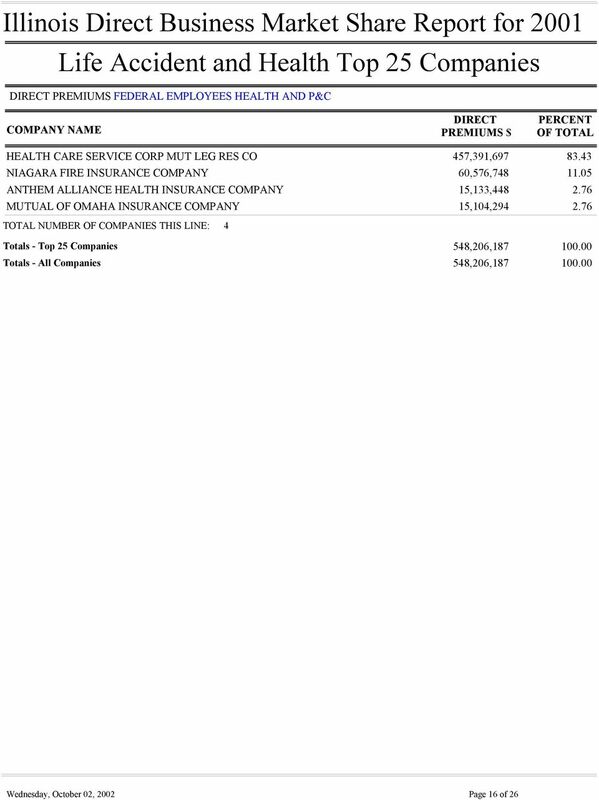 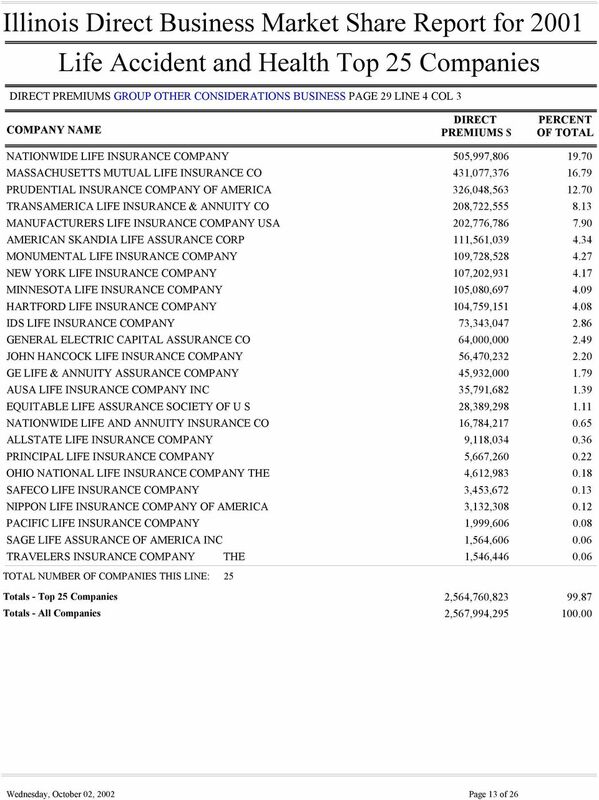 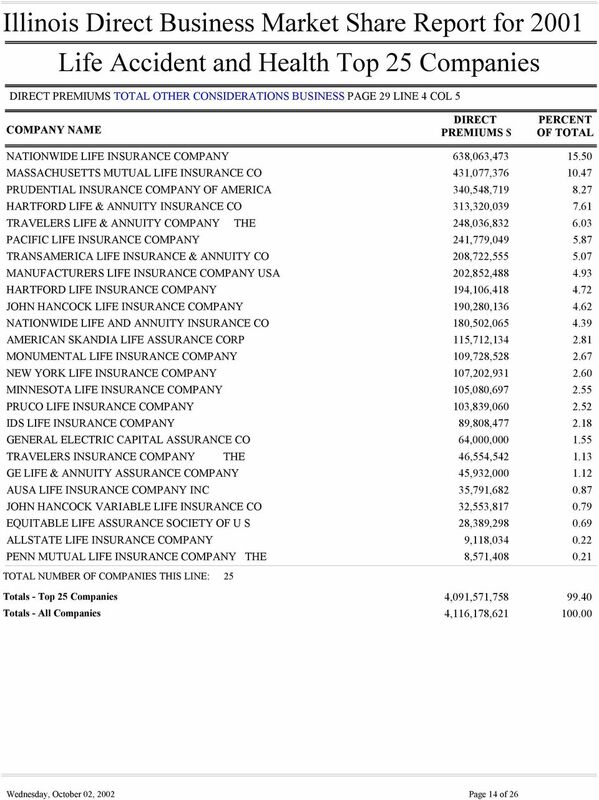 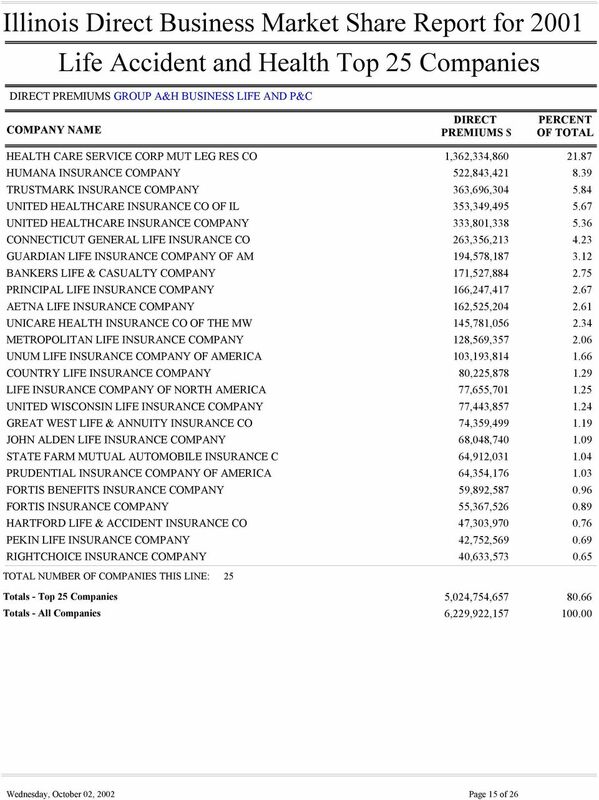 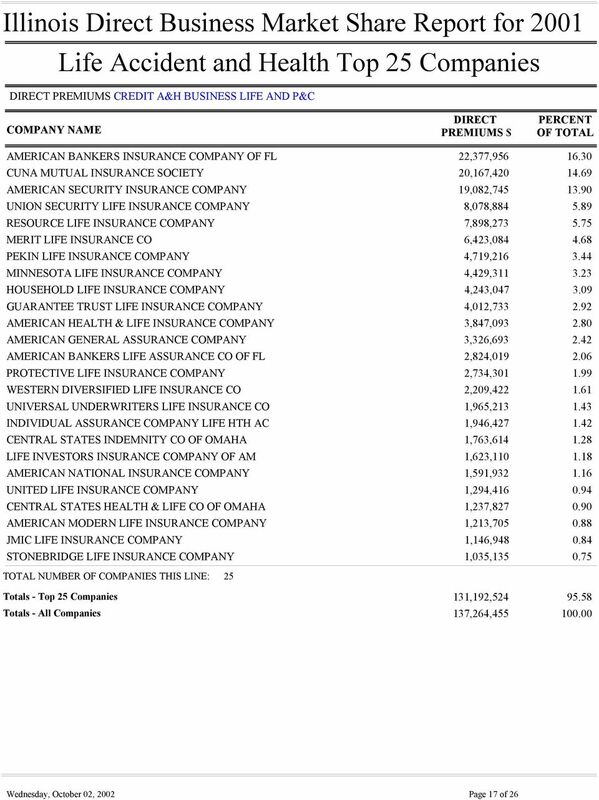 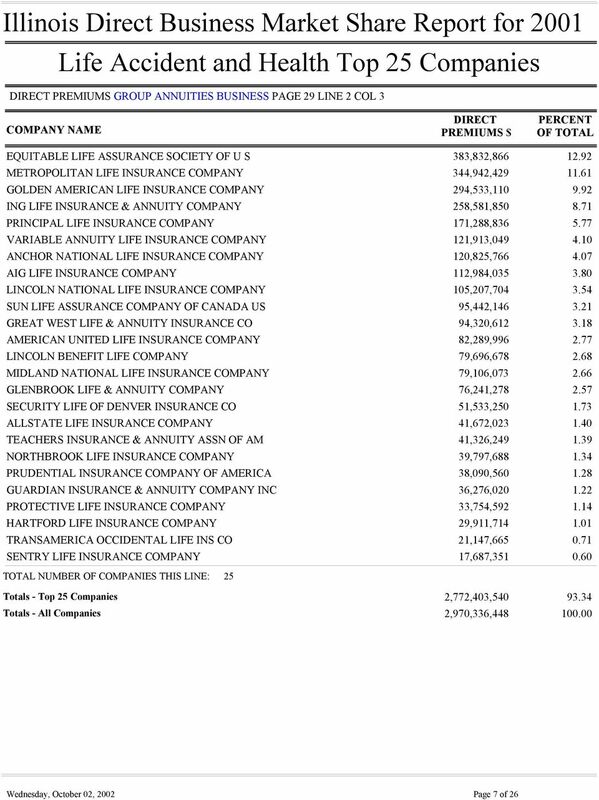 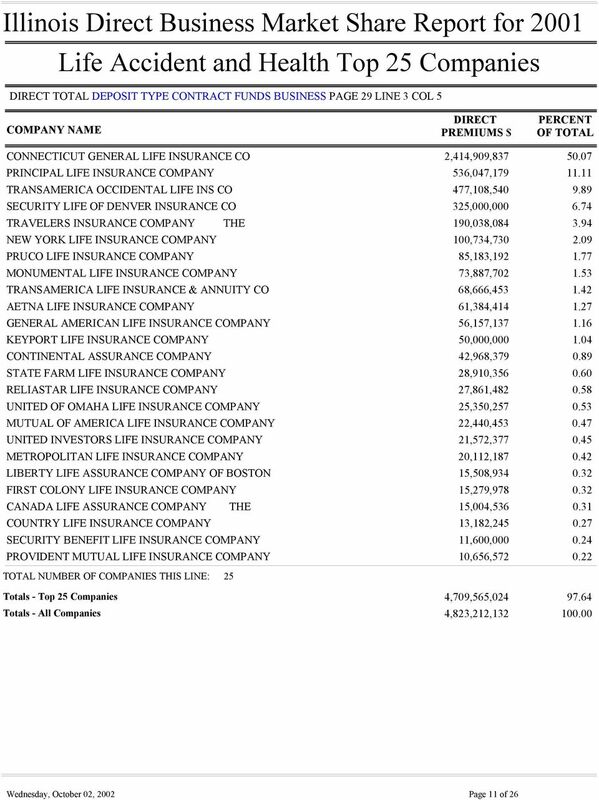 Download "OTHER ACCIDENT ONLY BUSINESS... 22 ALL OTHER A&H BUSINESS... 23 TOTAL OTHER INDIVIDUAL CERT... 24"
The following companies are contracted with Noridian Administrative Services, LLC to receive Medicare Part B crossover claims. 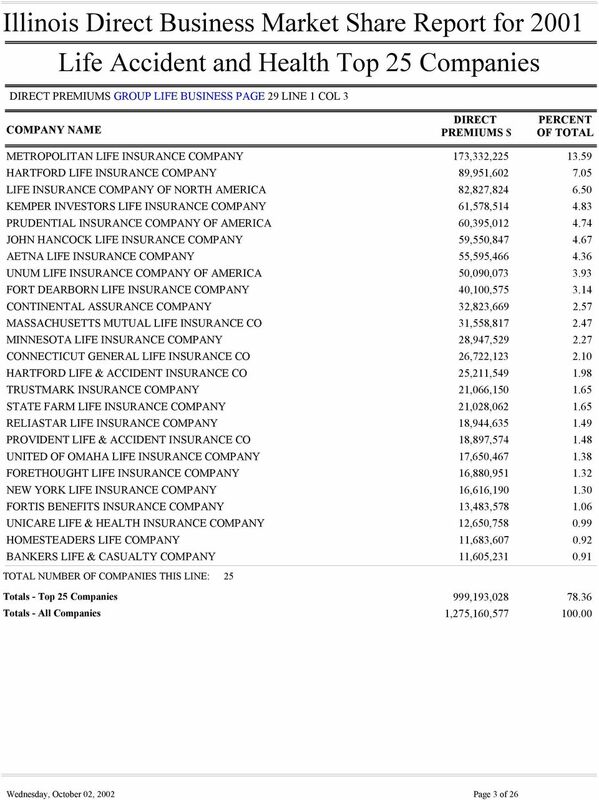 There is no need to submit Medigap information on claims for these companies. 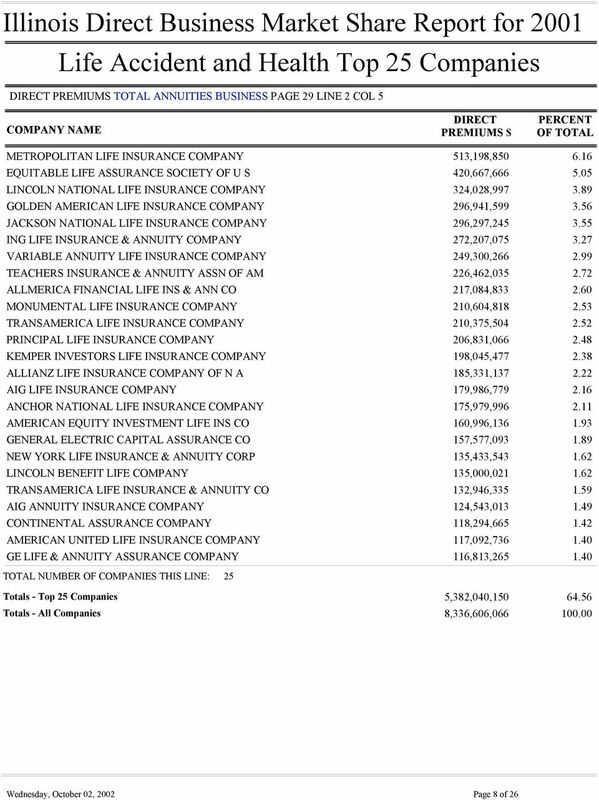 LIMRA INTERNATIONAL AMERICAN COUNCIL OF LIFE INSURANCE ACCELERATED DEATH BENEFITS 1998 Accelerated Death Benefits 1998 is published jointly by the American Council of Life Insurance and LIMRA International.